Welcome to the first part of a two part blog on Azure Policy. Multi-part blogs are not my usual style, but the nature of blogging whilst also being a full time Consultant is that you slip some words in when you find time, and I was starting to feel if I wrote this in a single part, it would just never see the light of day. Part one of this blog deals with the high-level overview of what the problem is, and how we solved it at a high level, part two will include the icky sticky granular detail, including some scripts which you can shamelessly plagiarise. Azure Policy is a feature complete solution which performs granular analysis on all your Azure resources, allowing your IT department to take swift and decisive action on resources which attempt to skirt infrastructure policies you define. Right, the sales guys now have their quotable line, let’s get stuck in to how you’re going to deliver on that. First, a quick overview of what Azure Policy actually is. Azure Policy is a service which allows you to create rules (policies) which allow you to take an action on an attempt to create or modify an Azure resource. For example, I might have a policy which says “only allow VM SKU’s of Standard_D2s_v3” with the effect of denying the creation of said VM if it’s anything other than that SKU. Now, if a user attempts to create a VM other than the sizing I specify, they get denied – same story if they attempt to modify an existing VM to use that SKU. Deny is just one example of an “effect” we can take via Azure Policy, but we can also use Audit, Append, AuditIfNotExists, DeployIfNotExists, and Disabled. Taking the actions described above obviously requires that you evaluate the resource to take the action. We do this using some chunks of JSON with fairly basic operators to determine what action we take. The properties you plug into a policy you create via Azure Policy, are not actually direct properties of the resource you are attempting to evaluate, rather we have “Aliases”, which map to those properties. So, for example, the alias for the image SKU we used as an example is “Microsoft.Compute/virtualMachines/imageSku”, which maps to the path “properties.storageProfile.imageReference.sku” on the actual resource. This leads me to…. If your organisation has decided Azure Policy is the way forward (because of the snazzy dashboard you get for resource compliance, or because you’re going down the path of using baked in Azure stuff, or whatever), you’re going to find fairly quickly that there is currently not a one to one mapping between the aliases on offer, and the properties on a resource. Using a virtual machine as an example, we can use Azure Policy to take an effect on a resource depending on its SKU (lovely!) but up until very recently, we didn’t have the ability to say if you do spin up a VM with that SKU, that it should only ever have a single NIC attached. The existing officially supported path to getting such aliases added to Policy is via the Azure Policy GitHub (oh, by the way if you’re working with policy and not frequenting that GitHub, you’re doing it wrong). The example I used about the multiple NIC’s, you can see was a requested as an alias by my colleague Ken on October 22nd 2018, and marked as “deployed” into the product on February 14th 2019. Perhaps this is not bad for the turnaround from request to implementation into the product speaking in general terms, but not quick enough when you’re working on a project which relies on that alias for a delivery deadline which arrives months before February 14th 2019. A quick review of both the open and closed issues on the Azure Policy GitHub gives you a feel for the sporadic nature of issues being addressed, and in some cases due to complexity or security, the inability to address the issues at all. That’s OK, we can fix this. Something we can use across all Azure resources in Policy, are fields. One of the fields we can use, is the tag on a resource. 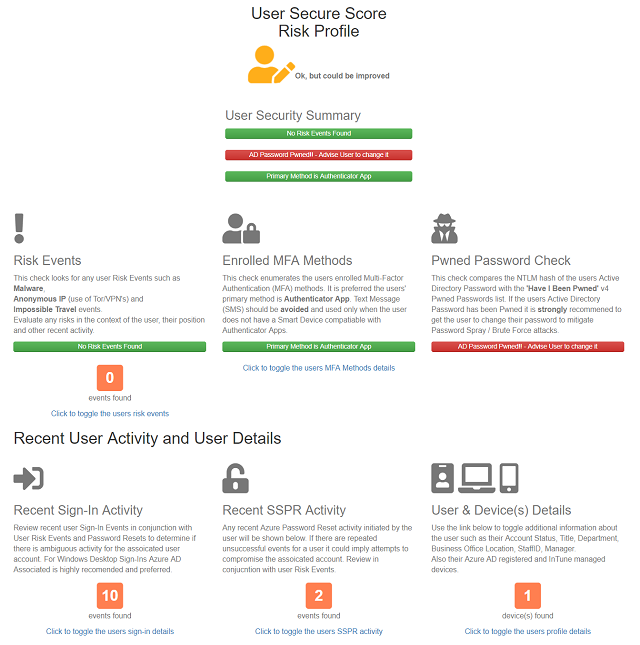 So, what we can do here is report compliance status to the Azure Policy dashboard not based on the actual compliance status of the resource, but based on whether or not is has a certain tag applied to it – that is to say, a resource can be deemed compliant or non-compliant based on whether or not it has a tag of a certain value – then, we can use something out of band to evaluate the resources compliance and apply the compliance tag. Pretty cunning huh? Here’s a breakdown of how the solution hangs together. The example below will more or less translate to the future Functions based version, we’ll just scribble out a couple bits, add a couple bits in. Event Grid forwards events to a webhook hanging off a PowerShell Runbook. The PowerShell Runbook executes a script which evaluates the resource forwarded in the webhook data, and applies, removes, or modifies a tag accordingly. Separately, a similar PowerShell runbook fires on a schedule. The schedule-based script contains the same evaluations as the event-driven one, but rather than evaluate an individual resource, it will evaluate all of them. 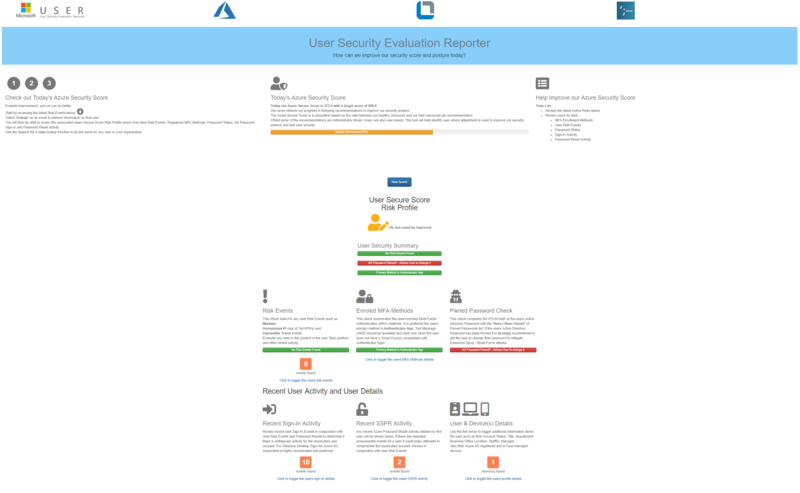 Azure Policy evaluates resources for compliance, and reports on it. In our case, compliance is simply the presence of a tag of a particular value. Now, that might already be enough for many of you guys to build out something like this on your own, which is great! If you are that person, you’re probably going to come up with a bunch of extra bits I wouldn’t have thought about, because you’re working from a (more-or-less) blank idea. For others, you’re going to want some gnarly config and scripts so you can plug that stuff into your own environment, tweak it up, and customise it to fit your own lab – for you guys, see you soon for part two! 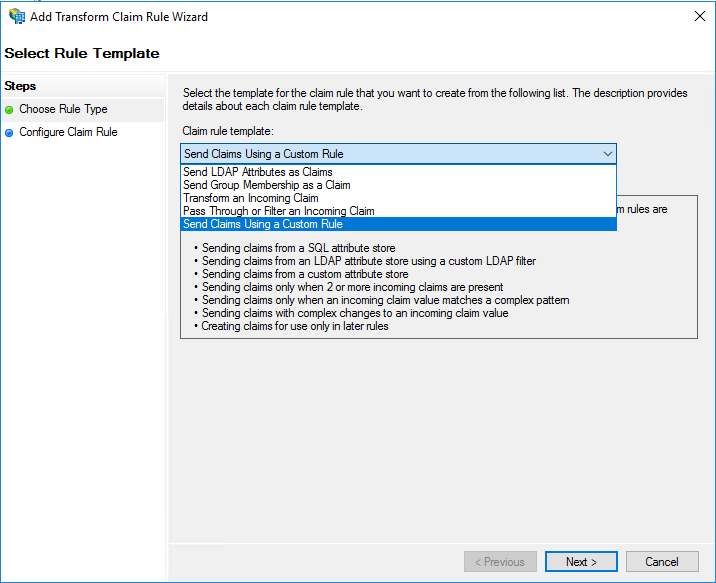 Kloud has been building out a bunch of stuff recently in Azure Policy, using both complex native policies, and ideas such as the one I’ve detailed here. If your organisation is looking at Azure Policy and you think it might be a good fit for your business, by all means, reach out for a chat. We love talking about this stuff. Securely managing keys for services that we use is an important, and sometimes difficult, part of building and running a cloud-based application. In general I prefer not to handle keys at all, and instead rely on approaches like managed service identities with role-based access control, which allow for applications to authenticate and authorise themselves without any keys being explicitly exchanged. However, there are a number of situations where do we need to use and manage keys, such as when we use services that don’t support role-based access control. One best practice that we should adopt when handling keys is to rotate (change) them regularly. Key rotation is important to cover situations where your keys may have compromised. Common attack vectors include keys having been committed to a public GitHub repository, a log file having a key accidentally written to it, or a disgruntled ex-employee retaining a key that had previously been issued. Changing the keys means that the scope of the damage is limited, and if keys aren’t changed regularly then these types of vulnerability can be severe. In many applications, keys are used in complex ways and require manual intervention to rotate. But in other applications, it’s possible to completely automate the rotation of keys. In this post I’ll explain one such approach, which rotates keys every time the application and its infrastructure components are redeployed. Assuming the application is deployed regularly, for example using a continuous deployment process, we will end up rotating keys very frequently. The key rotation process I describe here relies on the fact that the services we’ll be dealing with – Azure Storage, Cosmos DB, and Service Bus – have both a primary and a secondary key. Both keys are valid for any requests, and they can be changed independently of each other. During each release we will pick one of these keys to use, and we’ll make sure that we only use that one. We’ll deploy our application components, which will include referencing that key and making sure our application uses it. Then we’ll rotate the other key. Decide whether to use the primary key or the secondary key for this deployment. There are several approaches to do this, which I describe below. Deploy the ARM template. In our example, the ARM template is the main thing that reads the keys. The template copies the keys into an Azure Function application’s configuration settings, as well as into a Key Vault. You could, of course, output the keys and have your deployment script put them elsewhere if you want to. Run the other deployment logic. For our simple application we don’t need to do anything more than run the ARM template deployment, but for many deployments you might copy your application files to a server, swap the deployment slots, or perform a variety of other actions that you need to run as part of your release. Test the application is working. The Azure Function in our example will perform some checks to ensure the keys are working correctly. You might also run other ‘smoke tests’ after completing your deployment logic. Record the key we used. We need to keep track of the keys we’ve used in this deployment so that the next deployment can use the other one. Rotate the other key. Now we can rotate the key that we are not using. The way that we rotate keys is a little different for each service. Test the application again. Finally, we run one more check to ensure that our application works. This is mostly a last check to ensure that we haven’t accidentally referenced any other keys, which would break our application now that they’ve been rotated. We don’t rotate any keys until after we’ve already switched the application to using the other set of keys, so we should never end up in a situation where we’ve referenced the wrong keys from the Azure Functions application. However, if we wanted to have a true zero-downtime deployment then we could use something like deployment slots to allow for warming up our application before we switch it into production. If you’re going to apply this principle in this post or the code below to your own applications, it’s important to be aware of an important limitation. The particular approach described here only works if your deployments are completely self-contained, with the keys only used inside the deployment process itself. If you provide keys for your components to any other systems or third parties, rotating keys in this manner will likely cause their systems to break. Importantly, any shared access signatures and tokens you issue will likely be broken by this process too. 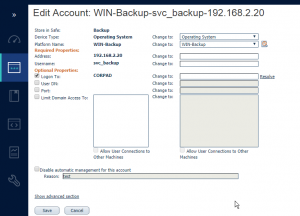 For example, if you provide third parties with a SAS token to access a storage account or blob, then rotating the account keys will cause the SAS token to be invalidated. There are some ways to avoid this, including generating SAS tokens from your deployment process and sending them out from there, or by using stored access policies; these approaches are beyond the scope of this post. The next sections provide some detail on the important steps in the list above. The first step we need to perform is to decide whether we should use the primary or secondary keys for this deployment. Ideally each deployment would switch between them – so deployment 1 would use the primary keys, deployment 2 the secondary, deployment 3 the primary, deployment 4 the secondary, etc. This requires that we store some state about the deployments somewhere. Don’t forget, though, that the very first time we deploy the application we won’t have this state set. We need to allow for this scenario too. The option that I’ve chosen to use in the sample is to use a resource group tag. Azure lets us use tags to attach custom metadata to most resource types, as well as to resource groups. I’ve used a custom tag named CurrentKeys to indicate whether the resources in that group currently use the primary or secondary keys. There are other places you could store this state too – some sort of external configuration system, or within your release management tool. You could even have your deployment scripts look at the keys currently used by the application code, compare them to the keys on the actual target resources, and then infer which key set is being used that way. A simpler alternative to maintaining state is to randomly choose to use the primary or secondary keys on every deployment. This may sometimes mean that you end up reusing the same keys repeatedly for several deployments in a row, but in many cases this might not be a problem, and may be worth the simplicity of not maintaining state. Our ARM template includes the resource definitions for all of the components we want to create – a storage account, a Cosmos DB account, a Service Bus namespace, and an Azure Function app to use for testing. You can see the full ARM template here. Note that we are deploying the Azure Function application code using the ARM template deployment method. Additionally, we copy the keys for our services into the Azure Function app’s settings, and into a Key Vault, so that we can access them from our application. Once we’ve finished deploying the ARM template and completing any other deployment steps, we should test to make sure that the keys we’re trying to use are valid. Many deployments include some sort of smoke test – a quick test of core functionality of the application. In this case, I wrote an Azure Function that will check that it can connect to the Azure resources in question. You can view the full Azure Function here. One of the last steps we perform is to actually rotate the keys for the services. The way in which we request key rotations is different depending on the services we’re talking to. You can see the full script here. Key management and rotation is often a painful process, but if your application deployments are completely self-contained then the process described here is one way to ensure that you continuously keep your keys changing and up-to-date. You can download the full set of scripts and code for this example from GitHub. How many of you, between waking up and your first cup of hot, caffeinated beverage, told the world something about yourselves online? Whether it be a social media status update, an Instagram photo or story post or even a tweak to your personal profile on LinkedIn. Maybe, yes, maybe no, although I would hedge my bets that you’ve at least checked your notifications, emails or had a scroll through the newsfeed. Another way to view this question would be: how many of you interacted with the internet in some way since waking up? The likeliness is probably fairly high. 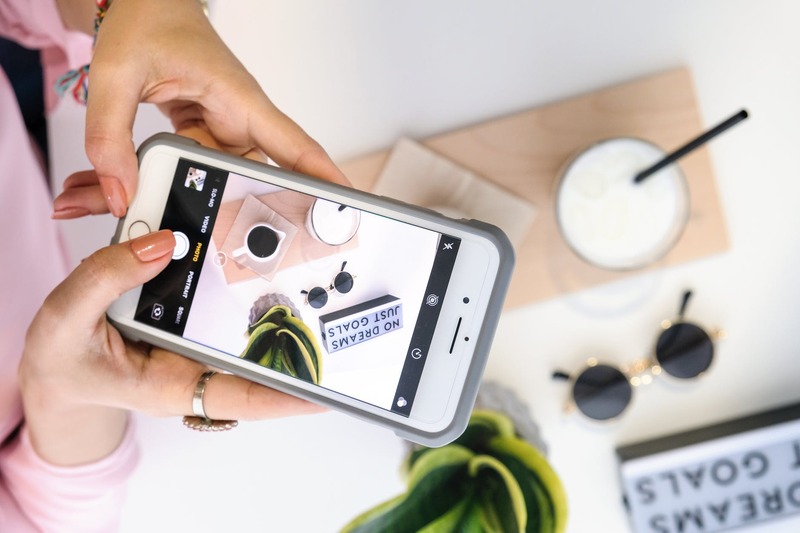 In my first blog looking into the topic of Psychodynamics, I solely focused on our inseparable connection to modern technologies – smartphones, tablets, etc. – and the access that these facilitate for us to interact with the society and the world. For most of us, this is an undeniable truth of daily life. A major nuance of this relationship between people and technology and one that I think we are probably somewhat in denial about is the security and privacy of our personal information online. To the Technology Community at large, it’s no secret that our personal data is proliferated by governments and billion dollar corporations on a constant basis. Whatever information – and more importantly, information on that information – that’s desired, going to the highest bidder, or for the best market rate. Facebook, for instance, doesn’t sell your information outright. That would be completely unethical and see devaluation to their brand trust. What it does is sell access to you, to the advertisers and large corporations connected through it, which in turn gives them valuable, consumer data, to advertise, target and sell back to you based on your online habits. My reasoning for raising this topic in regard to psychodynamics and technological-behavioral patterns is for consultants and tech professionals to consider what data privacy means to our/your valued clients. Data analytics targeting individuals/groups are focused largely on the metadata, not the content data of what an individual or group of individuals is producing. What this means is that businesses are more likely to not look at content as scalable unless there are metrics and positive/viral trends in viewership/content consumption patterns. Technology, it’s socialisation and personal information privacy issues are no longer specific to a generation — “boomers”, “millennials” — or context (though countries like China and Russia prohibit and filter certain URLs and web services). That is to say, in the daily working routine of an individual, their engagement with technology and the push to submit data to get a task done may, in some instances, formulate an unconscious processing pattern over time where we get used to sharing our personal information, adopting the mindset “well, I have nothing to hide”. I believe we’ve likely all been guilty of it before. Jane might not think about how sharing her client’s files with her colleague Judy to assist with advising on a matter may put their employer in breach of a binding confidentiality agreement. My recent projects saw heavy amounts of content extraction and planning, not immediately considering the meta-data trends and what business departments likely needs were for this content, focusing on documented business processes over the data usage patterns. Particularly working with cloud technologies that were new for the given clients, there was a very basic understanding of what this entailed in regards to data privacy and the legalities around this (client sharing, data visibility, GDPR, to name a few). Perhaps a consideration here is investigating further how these trends play into and, possibly, deviate business processes, rather than look at them as separate factors in information processing. Work is work, but so is our duty to due diligence, best practices and understanding how we, as technology professionals, can absolve some of these ethical issues in today’s technology landscape. For more on Professor Joe Cannataci, please see his profile on the United Nations page. In part one of this post we looked at configuring an Azure Application Gateway to secure your web application front-end, it is available here. In part two we will be looking at some additional post configuration tasks and how to start investigating whether the WAF is blocking any of our application traffic and how to check for this. First up we will look at configuring some NSG (Network Security Group) inbound and outbound rules for the subnet that the Application Gateway is deployed within. The inbound rules that you will require are below. Allow HTTPS Port 443 from any source. Allow HTTP Port 80 from any source (only if required for your application). Allow HTTP/HTTPS Port 80/443 from your Web Server subnet. Allow Application Gateway Health API ports 65503-65534. These are required for correct operation of your Application Gateway. Deny-all other traffic, set this rule as a high value ie. 4000 – 4096. The outbound rules that you will require are below. Allow HTTPS Port 443 from your Application Gateway to any destination. Allow HTTP Port 80 from your Application Gateway to any destination (only if required for your application). Allow HTTP/HTTPS Port 80/443 to your Web Server subnet. Allow Internet traffic using the Internet traffic tag. Now we need to configure the Application Gateway to write Diagnostic Logs to a Storage Account. 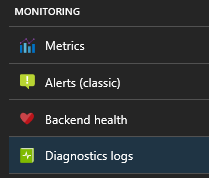 To do this open the Application Gateway from within the Azure Portal, find the Monitoring section and click on Diagnostic Logs. Click on Add diagnostic settings and browse to the Storage Account you wish to write logs to, select all log types and save the changes. Now that the Application Gateway is configured to store diagnostic logs (we need the ApplicationFirewallLog) you can start testing your web front-end. To do this, firstly you should set the WAF to “Detection” mode which will log any traffic that would have been blocked. This setting is only recommended for testing purposes and should not be permanent state. To change this setting open your Application Gateway from within the Azure Portal and click Web Application Firewall under settings. Change the Firewall mode to “Detection” for testing purposes. Save the changes. Now you can start your web front-end testing. Any traffic that would be blocked will now be allowed, however it will still create a log entry showing you the details for the traffic that would be blocked. 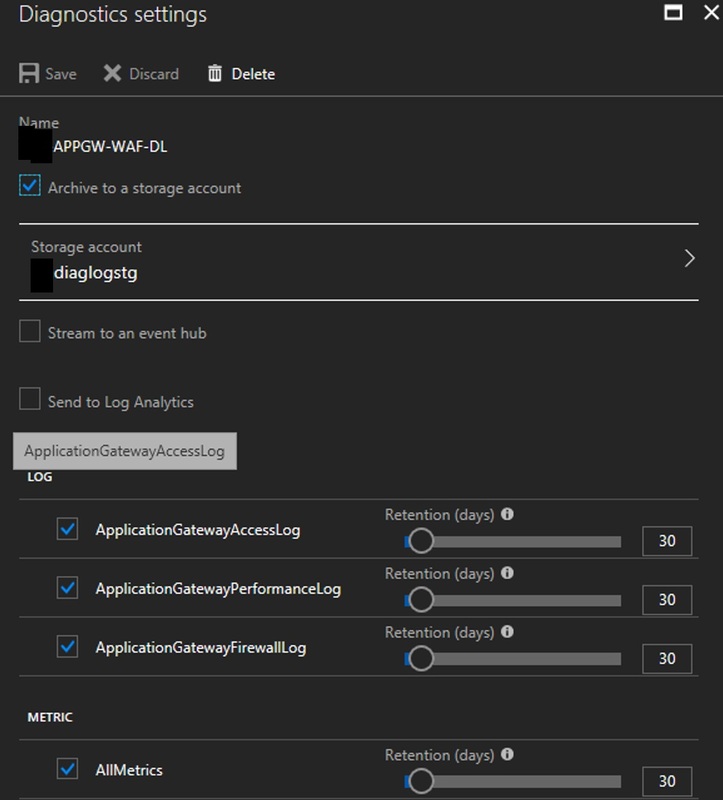 Once testing is completed open your Storage Account from within the Azure Portal and browse to the insights-logs-applicationgatewayfirewalllog container, continue opening the folder structure and find the date and time of the testing. The log file is named PT1H.json, download it to your local computer. Open the PT1H.json file. Any entries for traffic that would be blocked will look similar to the below. This will give you useful information to either fix your application or disable a rule that is blocking traffic, the “ruleId” section of the log will show you the rule that requires action. Rules should only be disabled temporarily while you remediate your application. They can be disabled/enabled from within the Web Application Firewall tab within Application Gateway, just make sure the “Advanced Rule Configuration” box is ticked so that you can see them. This process of testing and fixing code/disabling rules should continue until you can complete a test without any errors showing in the logs. Once no errors occur you can change the Web Application Firewall mode back to “Prevention” mode which will make the WAF actively block traffic that does not pass the rule sets. Something important to note is the below log entry type with a ruleId of “0”. This error would need to be resolved by remediating the code as the default rules cannot be changed within the WAF. Microsoft are working on changing this, however at the time of writing it cannot be done as the default data length cannot be changed. Sometimes this will occur with a part of the application that cannot be resolved, if this is the case you would need to look at another WAF product such as a Barracuda etc. 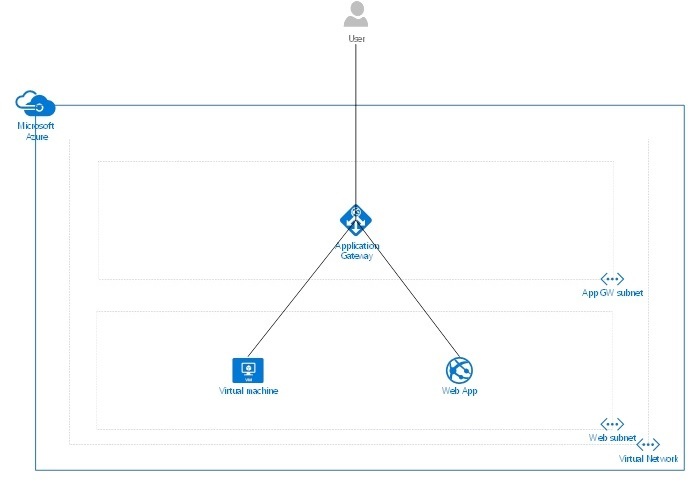 In this post we looked at some post configuration tasks for Application Gateway such as configuring NSG rules to further protect the network, configure diagnostic logging and how to check the Web Application Firewall logs for application traffic that would be blocked by the WAF. The Application Gateway can be a good alternative to dedicated appliances as it is easier to configure and manage. However, in some cases where more control of WAF rule sets are required a dedicated WAF appliance may be required. Hopefully this two part series helps you with your decision making when it comes to securing your web front-end applications. 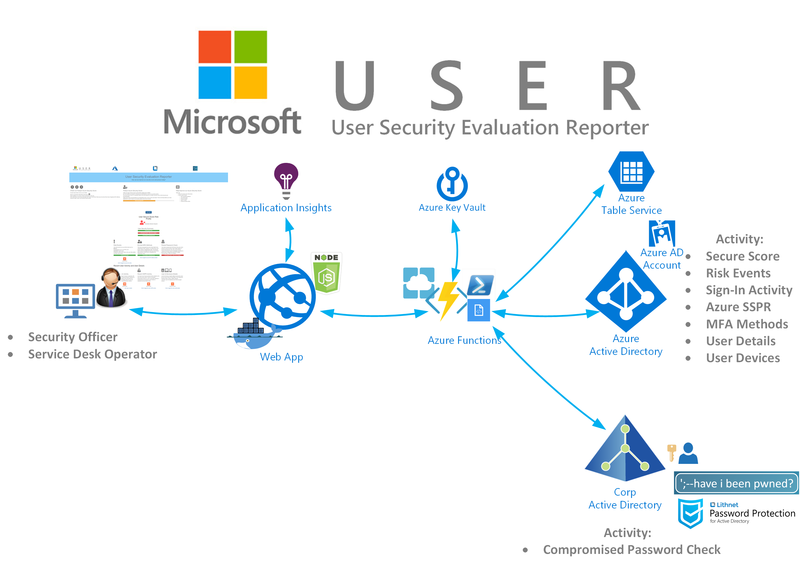 I have just completed a project with a customer who were using Azure Application Gateway to secure their web front-end and thought it would be good to post some findings. This is part one in a two part post looking at how to secure a web front-end using Azure Application Gateway with the WAF component enabled. 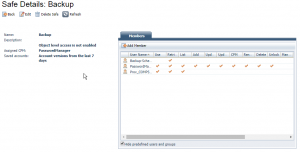 In this post I will explain the process for configuring the Application Gateway once deployed. You can deploy the Application Gateway from an ARM Template, Azure PowerShell or the portal. To be able to enable the WAF component you must use a Medium or Large instance size for the Application Gateway. Using Application Gateway allows you to remove the need for your web front-end to have a public endpoint assigned to it, for instance if it is a Virtual Machine then you no longer need a Public IP address assigned to it. You can deploy Application Gateway in front of Virtual Machines (IaaS) or Web Apps (PaaS). An overview of how this will look is shown below. The Application Gateway requires its own subnet which no other resources can be deployed to. The web server (Virtual Machine) can be assigned to a separate subnet, if using a web app no subnet is required. Remove the need for a public endpoint from our web server. Automatic HTTPS to HTTPS redirection. Multi-site hosting, though in this example we will configure a single site. 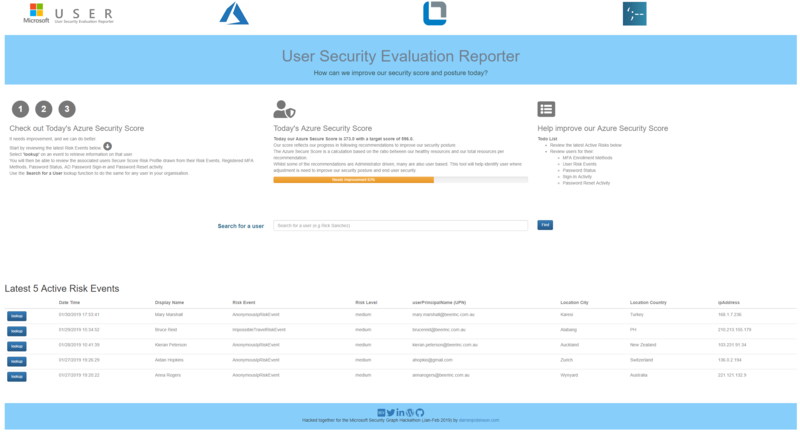 In-built WAF solution utilising OWASP core rule sets 3.0 or 2.2.9. Before starting you need to make sure that an Application Gateway with an instance size of Medium or Large has been deployed with the WAF component enabled and that the web server or web app has been deployed and configured. Now open PowerShell ISE and login to your Azure account using the below command. Now we need to set our variables to work with. These variables are your Application Gateway name, the resource group where you Application Gateway is deployed, your Backend Pool name and IP, your HTTP and HTTPS Listener names, your host name (website name), the HTTP and HTTPS rule names, your front end (Private) and back end (Public) SSL Names along with your Private certificate password. NOTE: The Private certificate needs to be in PFX format and your Public certificate in CER format. Change these to suit your environment and copy both your pfx and cer certificate files to C:\Temp\Certs on your computer. # The resource group where the Application Gateway is deployed. # The name of your Backend Pool. # The IP address of your web server or URL of web app. # The name of the HTTP Listener. # The name of the HTTPS Listener. # The HTTP Rule name. # The HTTPS Rule name. # SSL certificate name for your front-end (Private cert pfx). # SSL certificate name for your back-end (Public cert cer). # Password for front-end SSL (Private cert pfx). Our first step is to configure the Front and Back end HTTPS settings on the Application Gateway. Save the Application Gateway as a variable. Add the Front-end (Private) SSL certificate. If you have any issues with this step you can upload the certificate from within the Azure Portal by creating a new Listener. Save the certificate as a variable. Configure the front-end port for SSL. Add the back-end (Public) SSL certificate. Save the back-end (Public) SSL as a variable. Apply the settings to the Application Gateway. The next stage is to configure the back-end pool to connect to your Virtual Machine or Web App. This example is using the IP address of the NIC attached to the web server VM. If using a web app as your front-end you can configure it to accept traffic only from the Application Gateway by setting an IP restriction on the web app to the Application Gateway IP address. Add the Backend Pool Virtual Machine or Web App. This can be a URL or an IP address. The next steps are to configure the HTTP and HTTPS Listeners. Save the front-end port as a variable – port 80. Save the front-end IP configuration as a variable. Add the HTTP Listener for your website. Save the HTTP Listener for your website as a variable. Save the front-end SSL port as a variable – port 443. Add the HTTPS Listener for your website. The final part of the configuration is to configure the HTTP and HTTPS rules and the HTTP to HTTPS redirection. First configure the HTTPS rule. Save the Backend Pool as a variable. Save the HTTPS Listener as a variable. Save the back-end HTTPS settings as a variable. Now configure the HTTP to HTTPS redirection and the HTTP rule with the redirection applied. Add the HTTP to HTTPS redirection. Save the redirect as a variable. Save the HTTP Listener as a variable. Add the HTTP rule with redirection to HTTPS. In this post we covered how to configure Azure Application Gateway to secure a web front-end whether running on Virtual Machines or Web Apps. We have configured the Gateway for end-to-end SSL encryption and automatic HTTP to HTTPS redirection removing this overhead from the web server. In part two we will look at some additional post configuration tasks and how to make sure your web application works with the WAF component.